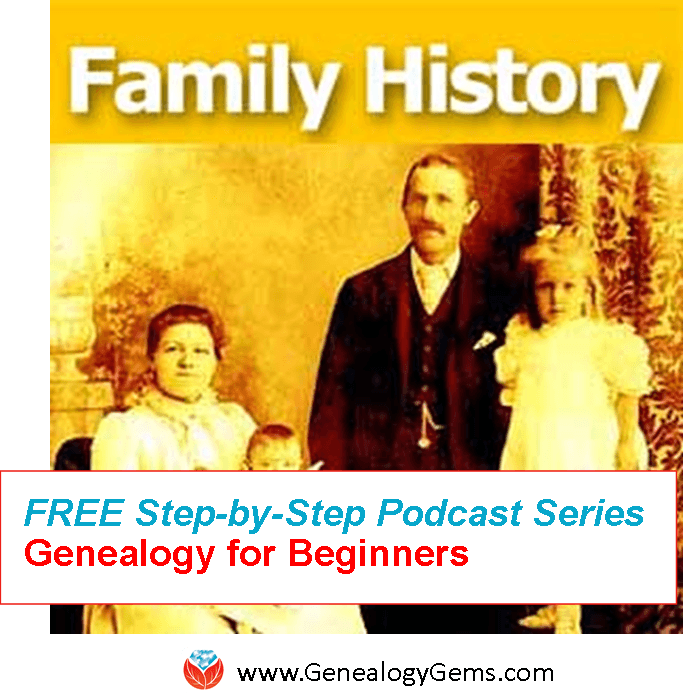 Listen to the Family History: Genealogy Made Easy podcast by Lisa Louise Cooke. It’s a great series for learning the research ropes and well as refreshing your skills. 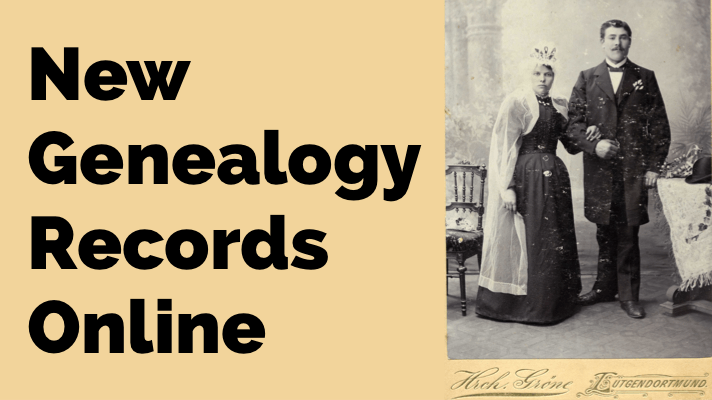 Welcome to this step-by-step series for beginning genealogists—and more experienced ones who want to brush up or learn something new. I first ran this series in 2008-09. So many people have asked about it, I’m bringing it back in weekly segments. Today’s show is all about YOU! Just like Episode 36, this episode is made up completely of your emailed questions, comments and stories. Joining me on today’s episode to read your emails again is my daughter, Lacey Cooke. Answer: (updated since the podcast originally aired): In your iTunes LIBRARY, on the line where the Genealogy Gems Podcast is listed click the GET ALL button. This will download all the past episodes to iTunes on your computer, to be listened to at your convenience. Downloading will take several minutes. You will see a little spinning orange circle to the left of the podcast name as it downloads. Once the episode is downloaded the text will turn from gray to black. Double click the episode and it will start to play after a moment or two. Answer: I love all those free forms at Family Tree Magazine! I’ll tell you the truth, I decided to throw mine away. I transcribed everything into my database and threw away the paper. Everything is properly sourced there, which is key. I avoid duplicating efforts, which has happened to me when looking back at old paper forms. Third, if I need to double-check things, I do it from the actual sources—the birth or death certificate or interview—not from the family group sheet. The only exception is if the group sheet is part of a brick wall case file that I haven’t solved yet. I keep them until the case is solved, and then the cited answers go into the database. The Family History Library has microfilm of the Baltimore Passenger lists between 1920 and 1897 – and it lists the main author as the U.S. Dept of the Treasury, Bureau of Customs. Passengers are indexed by soundex and the soundex code for Mauge would be M200. But considering the variations you have found of the name you’ll want to arm yourself with the soundex codes for all those variations. The M200 names are on Film # 417302 which I found in the Family History Library catalog and familysearch.org and you can just go to your closes Family History Center and order the film for under $10 and they will send it to you to view at the center. Check the at the Immigrant’s Ships Transcribers Guild website. Click here for a great summary of Baltimore passenger lists by Joe Beine online. You will also find an index for Baltimore passenger lists between 1820 and 1897 at the Allen County Public Library in Fort Wayne, IN. Look closely at your source for the port information, and see if you can locate any other verification of that. Maybe she actually arrived through another port. Usually I would tell you to check departure lists, but in this case, departure lists for Bremen for that time period are not available. Here’s a great book recommendation for you: Finding Your Chicago Ancestors by Grace DeMelle. Answer: I’m not sure how much I can help with that one – keep playing with the “plus” and “minus” signs in your searches to refine what you’re looking for. And I’m glad you’re using those eBay alerts. 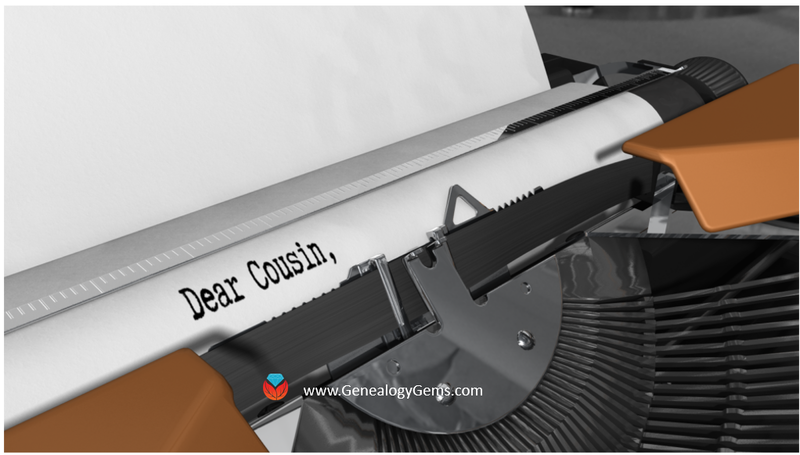 Learn more about eBay alerts in Genealogy Gems Podcast Episode 140. Note: Genealogy Gems Premium Members can learn more about Google Alerts in Premium Podcast Episode 28. Note: The BYU Family History Archive she references has migrated into the Family History (Digital) Books collection at FamilySearch along with the digital book collections of other repositories/ They are now searchable at FamilySearch.org. Question: This is just something that bugs me. WHICH is the correct pronunciation of Genealogy??? GEEN-e-alogy (with a long “e” at the beginning) or Gen-e-ology (with a short “e” at the beginning)? Answer: I’ve heard it both ways and I’ve pronounced it both ways. But when I went to Dictionary.com, they actually have an audio pronunciation and they say, GEEN-e-alogy, with a long “e” at the beginning. However you pronounce it, it’s a barrel of fun! Question: How can I learn more about the Freedom of Information Act? Answer: Listen to Genealogy Gems Podcast Episode 20 and Episode 21. 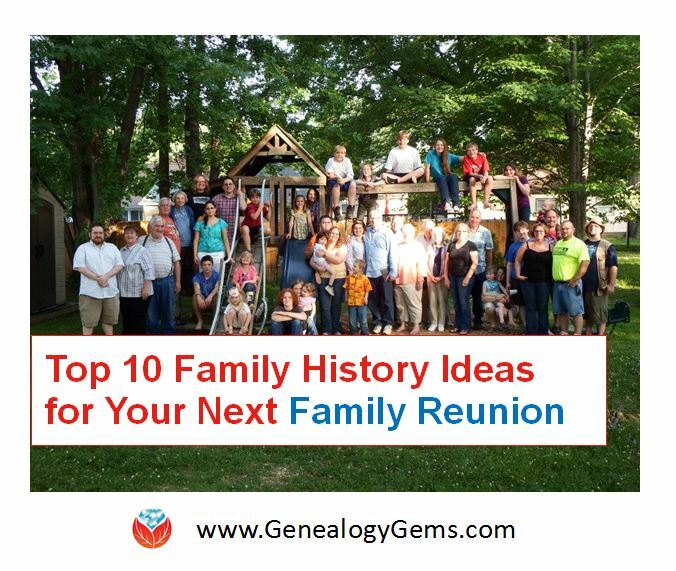 It’s also covered in my book Genealogy Gems Ultimate Research Strategies. Listen to this episode to find out the answer!